Tips for the popular TV show “Unsolved Mysteries” and DNA testing led Hot Springs County Sheriff’s Office to a 99.99% match to the bones in a 25-year-old missing persons case. Joseph Mulvaney, born in 1923, has been identified as the victim after a DNA sample obtained from a woman in Iowa tipping officials to a link between the case and the death of her father, shot in the head by her uncle sometime in 1960. Allegedly, the woman stated that her uncle then placed her father’s body in a trunk before burying it in Iowa. The Sheriff’s Office says the uncle later dug the trunk back up and transported it to Wyoming where he was working. The uncle then left the trunk behind. The uncle later moved to Mississippi where he committed suicide. 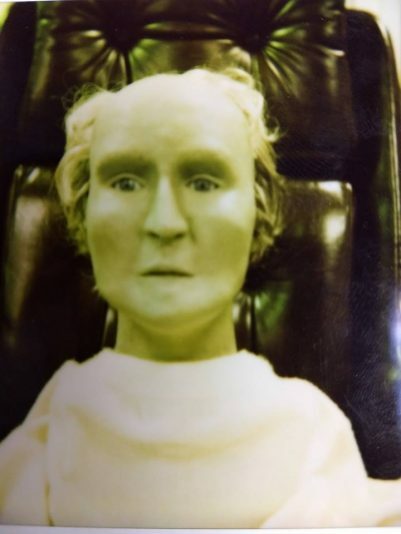 The Wyoming State Crime Lab was able to determine that the female who had submitted the DNA sample was indeed a 99.99% match to the bones that had been collected. The show page, episode “Skeleton in a Box,” fills in more of the timeline of the mystery, detailing ownership of the trunk and forensic testing. John Lumley, the sheriff of Hot Spring County, turned the skeleton over to the Wyoming State Crime Lab in Cheyenne, in hopes that maybe the bones could tell analyzed and more information revealed. Sandra Mays was the lab technician that examined the skeleton and ultimately developed the clay, three-dimensional facial reconstruction.